The application of marking technology in the field of wine and beverage has a long history. All containers and packaging for beverages, whether PET bottles, glass bottles, vacuum cartons, metal cans, or outer packaging corrugated cartons, have logo solutions that meet the needs of users. Of course, the development of the marking technology and equipment is also changing with each passing day. In this article, we have dedicated some identification solutions designed specifically for the field of wine and beverages. Linx Printing Technologies has added a new 500SL high-performance laser system to its family of identification devices. According to Linx, in the high-speed production environment, the 500SL laser marking system provides higher quality logo writing, making this system ideal for marking in high-speed beer and beverage production lines. The 500SL laser marking system can perform up to 90,000 labeling jobs per hour, and a peak power of 100 watts means that almost all packages can be identified using the 500SL. At PPMA 2005, Needham Group demonstrated the F-1000 Series CO2 laser marking system. What makes the F-1000 special is that it provides high-quality, durable character markings for difficult packaging, especially in cold-filled environments. The F-1000 series laser marking system has Ethernet connectivity and can be easily integrated with other equipment in the factory. Different print heads can be selected for different character sizes, in addition to high-speed electronic components, advanced software and optical systems, These ensure that the F-1000 series meets the needs of high-speed bottling lines. Recently, Kingsland Wines & Spirits installed a Weber Solar Jet 30W laser marking system for high-speed liquor filling lines. The system can identify 4mm high characters and can identify the bottle at a rate of 18,000 per hour. Scotch whiskey brewer John Dewar & Sons recently added a Linx 6800 system to his production line after purchasing 5 Linx 6000 continuous inkjet marking systems. In the process of labeling, the Linx 6800 identifies 3 mm high date and time characters on the bottleneck or label back. Dean's quality manager Ian Collins said: â€œOur production line runs an average of 16 hours a day, and we finish approximately 400 bottles per minute. Such a large production intensity plan makes the ease of use and performance of the machine our key requirement. ."
Recently, Imaje's 404 printing system can combine black, red, green, and blue inks with high-resolution piezoelectric ink jet technology to produce high-definition logos (including graphics and barcodes) on porous surfaces. ). The vertical resolution of the 404 printer is 180 dpi, which can identify characters up to 71 mm. At the same time, it can be equipped with four jet terminals to provide more abundant identification information and to simultaneously apply codes on both sides of the package. Information that needs to be coded can be edited and displayed on the VGA screen, and the ink is supplied through a 500 ml sealed bag. In order to attach bar code labels to carton packaging for bottled and canned beverages, Princes Soft Drinks in Glasgow installed two SPA 720 automatic print labelers from Sessions. â€œWe use the SPA 720 to achieve unique labeling results. We trust Sessions very much, because it always tirelessly meets our needs and helps us solve any thorny problems,â€ said Princes Soft Drinks. Since the installation of these two automatic printing labelers, Princes has noticed a significant increase in production efficiency, and the number of relabels has been greatly reduced. In addition, Logopak selected the PPMA show in 2005 to launch its 500 series of automatic printing and labeling machines targeting a variety of industries including the filling industry. Among the two existing models, the 515 F90/600 can attach a 150 mm x 150 mm size label to the front of the package at a speed of 80/min; another model, the 515 B90/600, performs under the same production conditions. The labeling on the side of the package can reach a speed of 100/min. In order to facilitate cleaning and maintenance, the heat transfer unit of this series of equipment is placed in a dark box and can be removed using a screw. The drive system can also be easily removed. Logopak said that the entire design guarantees the convenience of maintenance. Logopak reports that new orders have been reached for both devices, Quinn Glass has installed two devices on its Krones bottling line, and Weston's Cider has also booked two devices for its new plant. For companies with limited plant space, the design of compact equipment has become their need. Recently, Sessions introduced a very compact, automatic print labeling system that is only one meter long and has a small footprint. This SPA 92X automatic print applicator has a print resolution of 12 dots/mm and a speed of 300 mm/s. The SPA 92X contains a 64-bit leading-edge thermal printer with four, five, and six foot wide three-machine models that can accommodate label reels with a maximum diameter of 300 mm. At present, in the production of wine and beverages, speed has become a problem that many companies are particularly looking for. Many filling lines today have very high speeds. In order to be able to match the speed of the entire production line, user companies also attach great importance to their speed when choosing a labeling device. The key to the ease of labeling operations on high-speed filling lines is the â€œmodular designâ€ of the labeler. As KHS pointed out, the modular design brings the greatest convenience to customers and helps the future companies survive in the market. KHS' latest Innoket SE generation labeler can be used on a wide range of containers and materials, with processing speeds exceeding 75,000/hour. All labeling heads are equipped with servo drives and the number of mechanically driven components is correspondingly reduced. The customer can choose either a mechanically controlled cam rotary table or an electric VarioDrive. The use of VarioDrive brings maximum flexibility, KHS says, the bottle rotation table can connect the motor and electric equipment into a single unit. At the same time, the detection system can be used with this unit to complete accurate labeling. At the same time, Krones launched its second-generation modular labeling system at Drinktec. The labeling station that drives the servo motor is not affected by the flatness of the ground and the height of the conveyor, and can perform the labeling job excellently. Krones' new APS3 labeling station is suitable for the labeling of soft drink bottles, including automatic label reel bonding. This means that there will be no reduction in output during the replacement of the label roll, the overall size of the machine will also be reduced, and the speed of the labeler can reach 50,000 per hour. As a Manufacturer of Food paper box,To satisfy and respond to customer`s Various food packaging, we will provide high-quality Food-Grade paper, and ink . they will not be harmful for our body health . 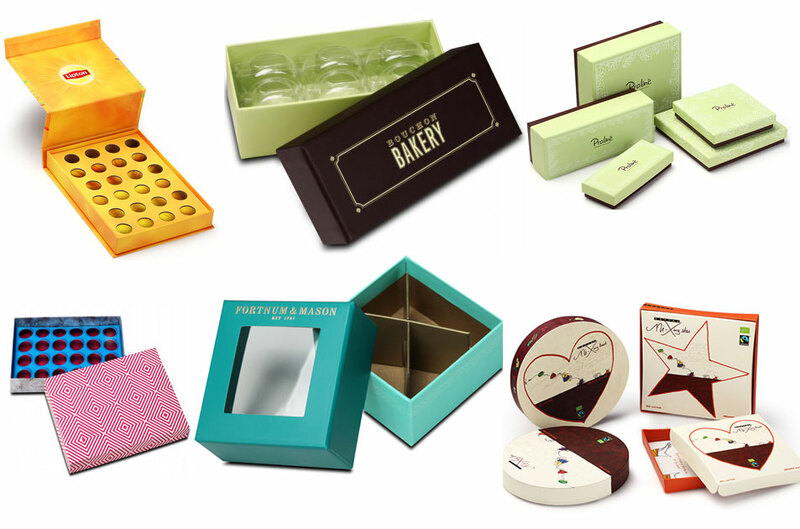 Our main food packaging is for chocolate & bakery Paper Gift Box,Tea Box. Custom box type ,custom size ,custom logo printing . With attractive looks by unique design,they will help your brand to hot sales in market.